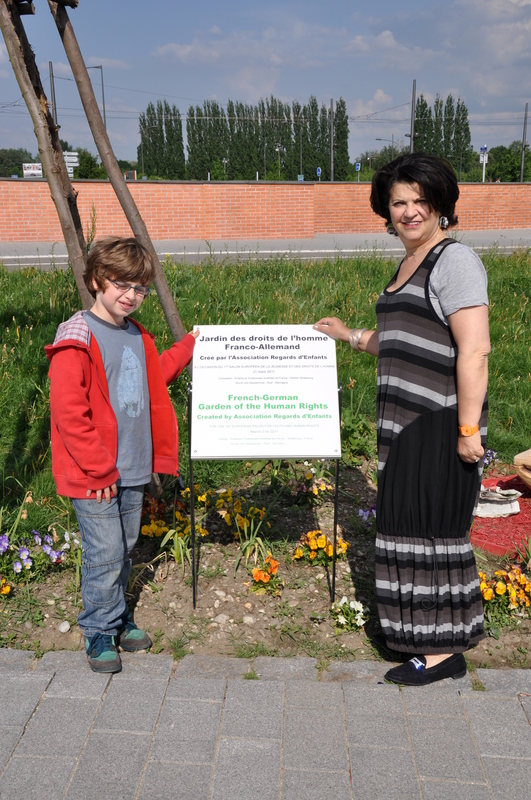 The above photo, taken outside the European Parliament in Strasbourg, is of the International Children’s Association president and her grandson. 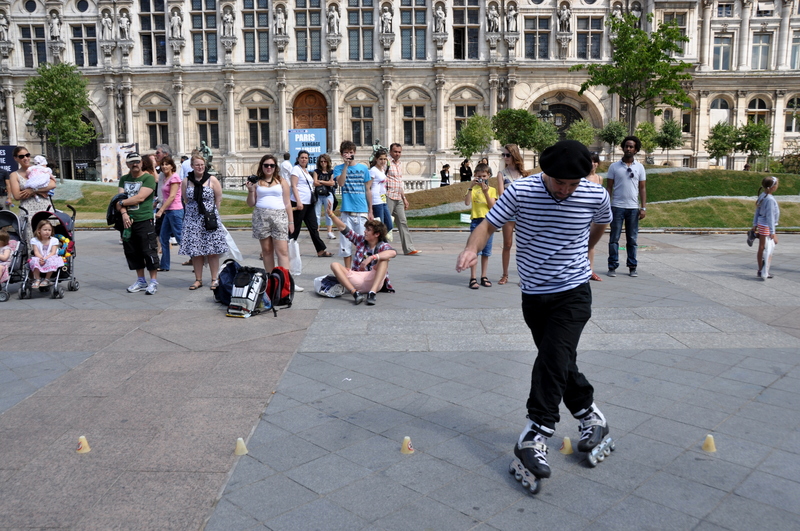 Also in France, albeit Paris: a dexterous street performer demonstrates his skills in front of the Hôtel de Ville (City Hall). Fair-skinned Scandinavian sisters in the lobby of the Perminalen Hotel, Oslo. 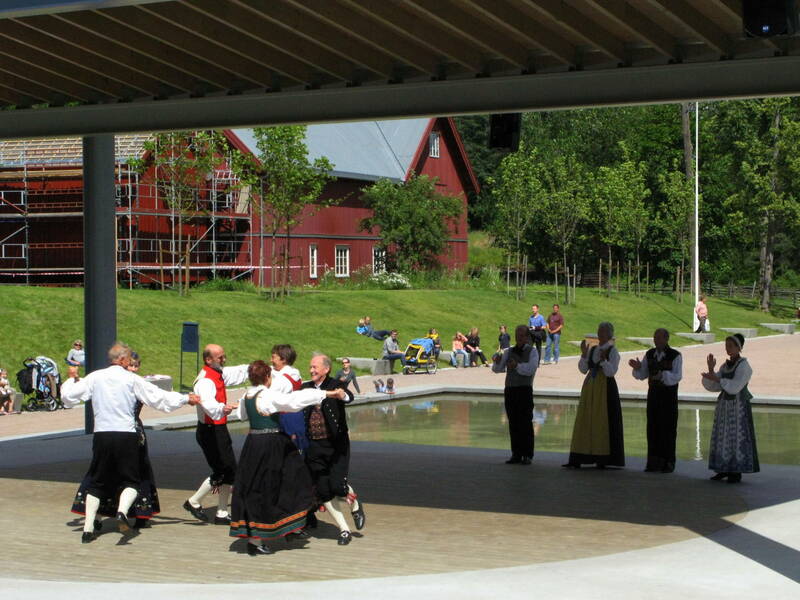 Locals dance in period dress on the grounds of the Norsk Folkemuseum, an open-air cultural center on Bygdøy Peninsula, Oslo. 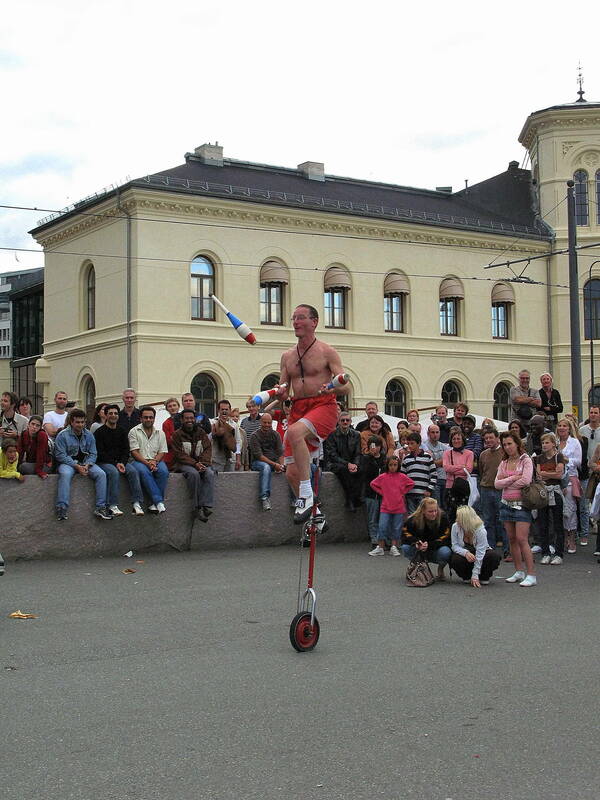 Oslo again: Shykoo (aka Shy Almagor) is an eccentric street performer of immense talent. From what I recall from our post-show chat, he grew up in Eastern Europe and spends summers busking throughout Western Europe. Heading to warmer climes, this picture of locals at rest was taken in the resort town of Isola, on Slovenia’s tiny sliver of Adriatic coastline. In the Ljubljana neighborhood of Metelkova, a graffiti artist scrapes off a newspaper pasting to make room for a new tag. You can read more about the urban graffiti in Ljubljana and other cities here. 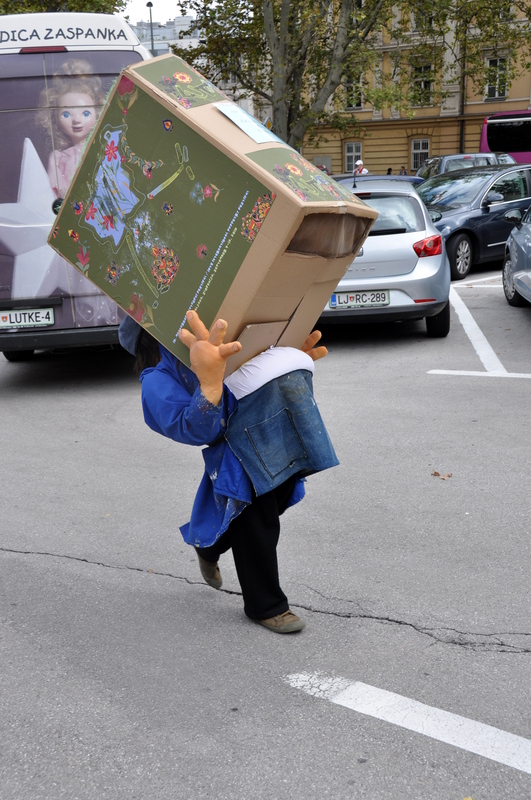 I have no idea what’s going on here. In the tiny Liechtenstein capital of Vaduz, the castle grounds open up one day each August for what is, in essence, a free-to-the-public keg party hosted by the crown prince. Locals such as this mother and daughter, above, change out of their everyday attire (they dress just like us) for the traditional highland dirndl. A different type of celebration was going on at this bar in Lucerne, where I hung out with transplants from Germany, Malaysia, and Romania, all of whom are now permanent Swiss residents. 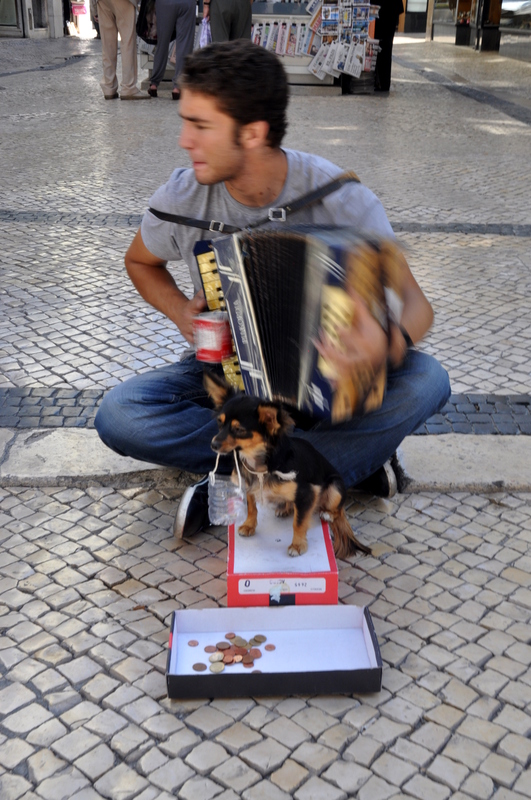 Human and canine buskers, Lisbon. As the saying goes, life’s a beach! 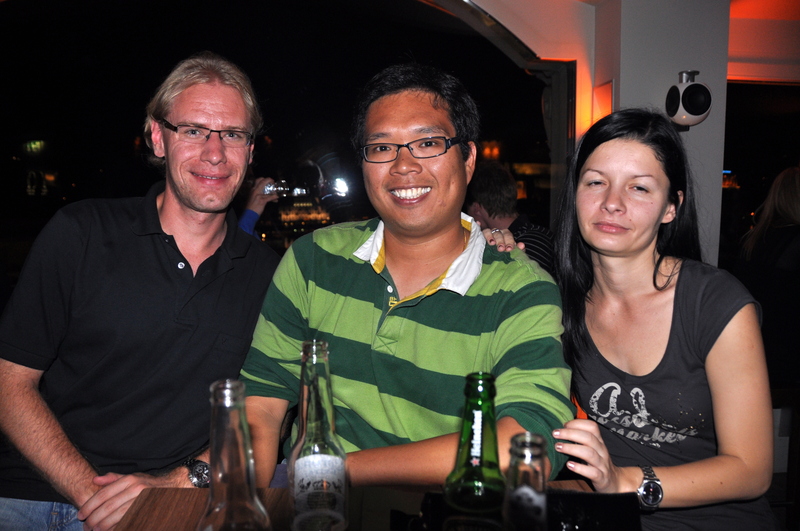 This is Patrick and Katharina, from Austria, photographed in Lagos, Portugal. 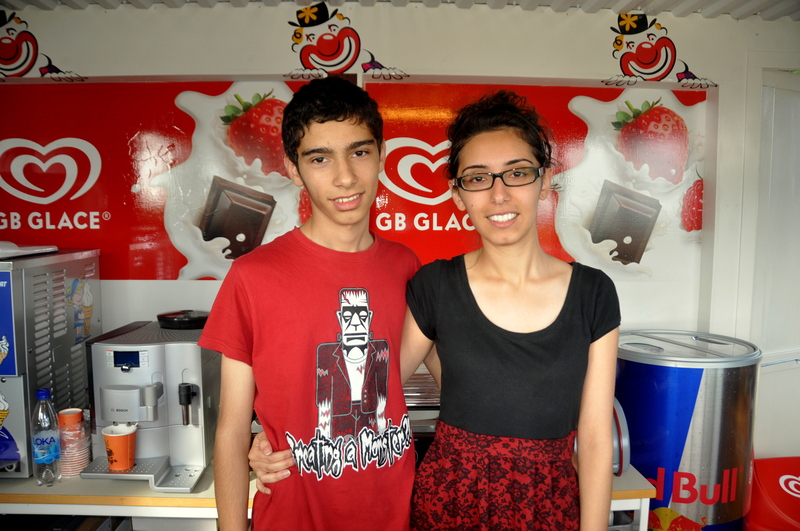 Sozda and Mazlum, siblings from Kurdistan who got a fresh start operating this summertime ice cream stand in northerly Kalmar, Sweden, of all places. It was the wrong time of year for ice cream when this picture was taken of a pensive Christmas market vendor in Stockholm, several hours by train from Kalmar. 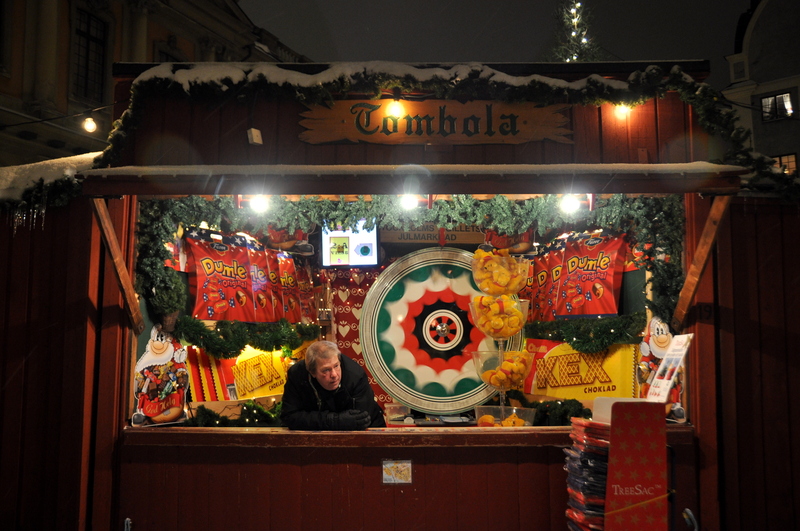 You can read more about Europe’s Christmas markets here. 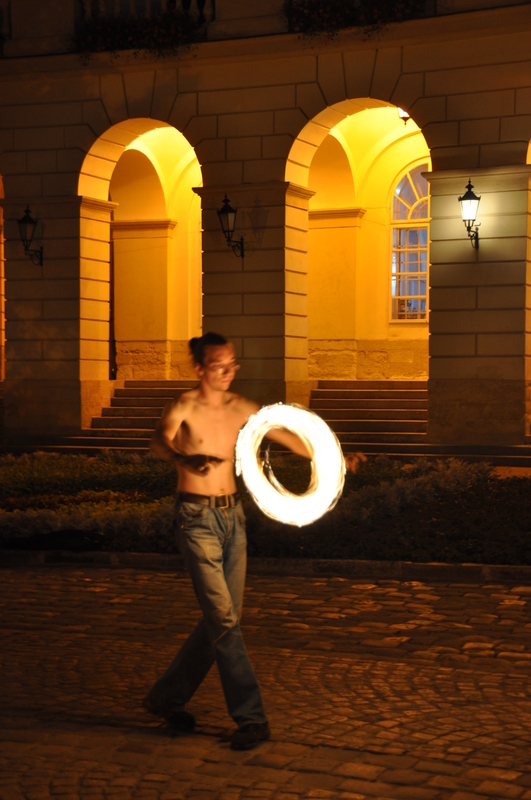 Fire dancer in Lviv, Ukraine. 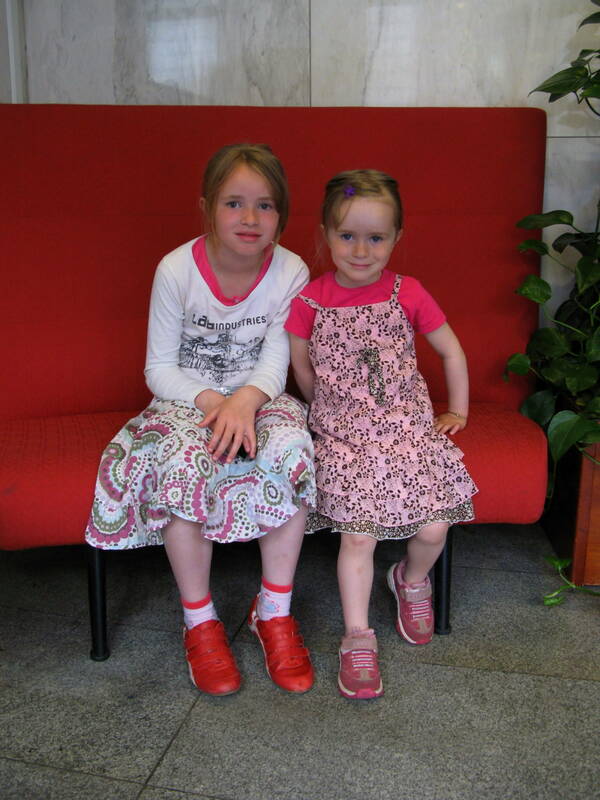 Amiable Russian travelers in Lviv, one year before the Poland/Ukraine-hosted UEFA 2012 fútbol classic. 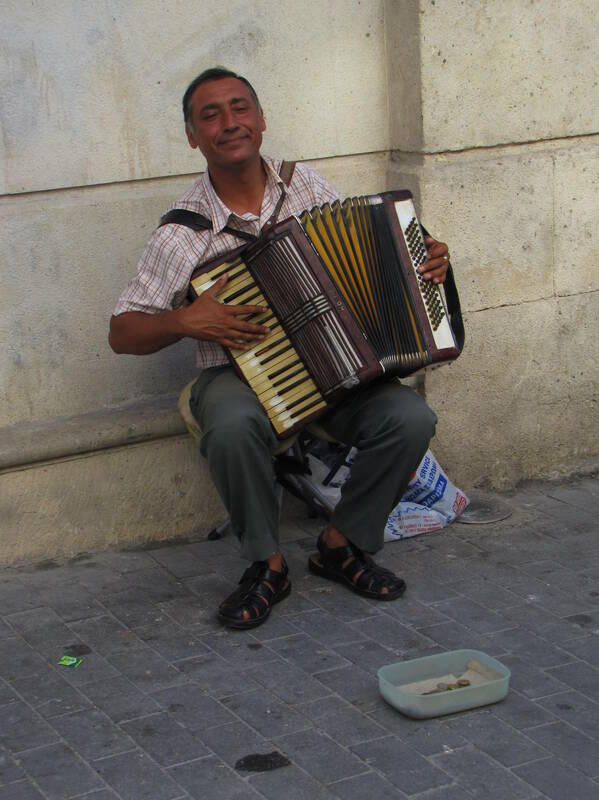 Accordion busker, in Heraklion, Crete, clearly in his element. This picture is simple and unstaged, and I love it. 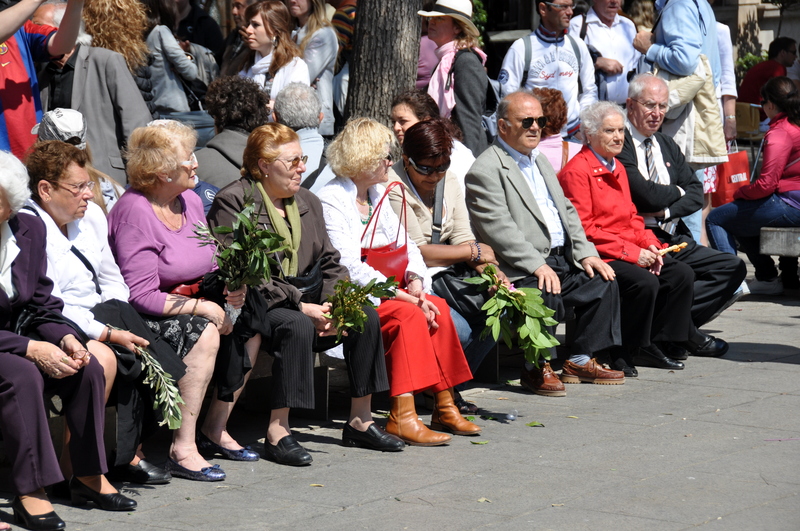 The streets surrounding Barcelona’s Cathedral of the Holy Cross were swarmed with people when this picture was taken on Palm Sunday. I remember leaving Barcelona for Andalucía and six consecutive days of rain…but the weather in Barça was delightful. 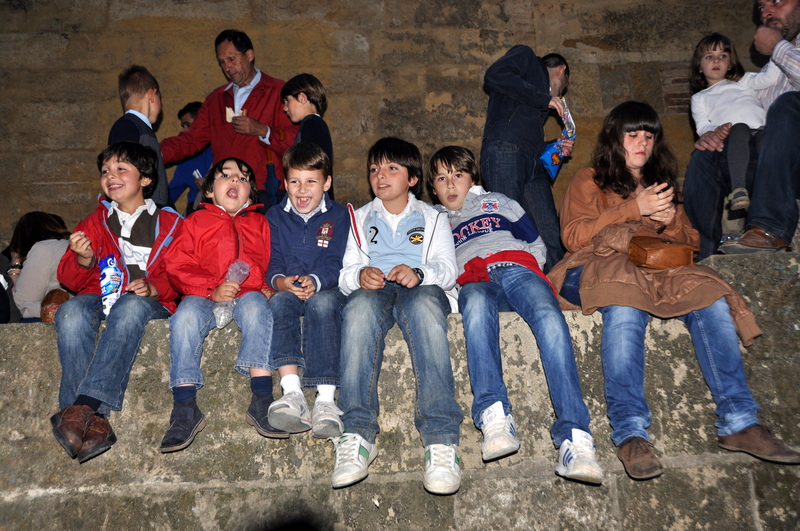 Before the rain: Córdoba, Spain niños mug for the camera while waiting for the evening’s Semana Santa procession to pass by. I flew from Los Angeles all the way to Nuremberg, Germany, for four whirlwind days in 2011, specifically to check out the city’s famed Christkindlesmarkt…and to visit family friends. 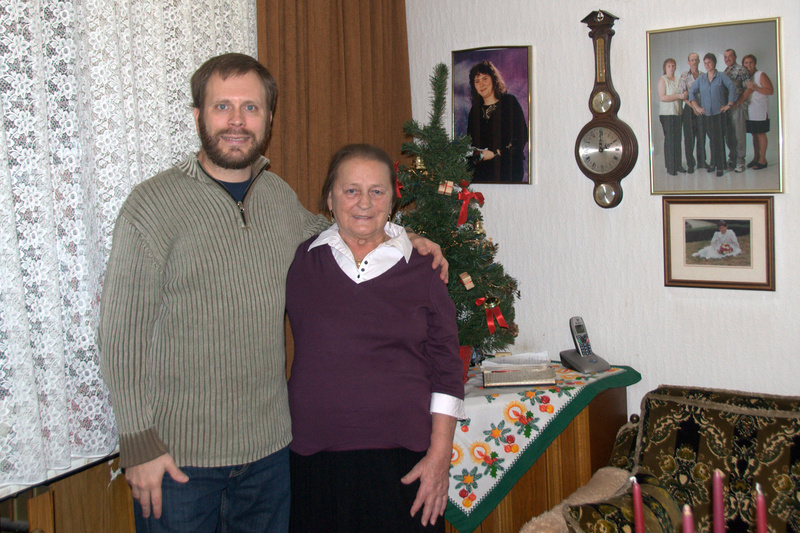 Here I am with Tante Helga, who survived the city’s Allied bombing runs of 1945, and who is still going strong at age 85. Fun fact: “Aunt” Helga was the neighbor of a local that my father befriended when he was stationed outside Nuremberg during his Army days, and she inspired him to study German. She used to send Deutschmarks in my annual birthday cards, and I wish I could visit her, and her family (in the wall photos behind her) more often. 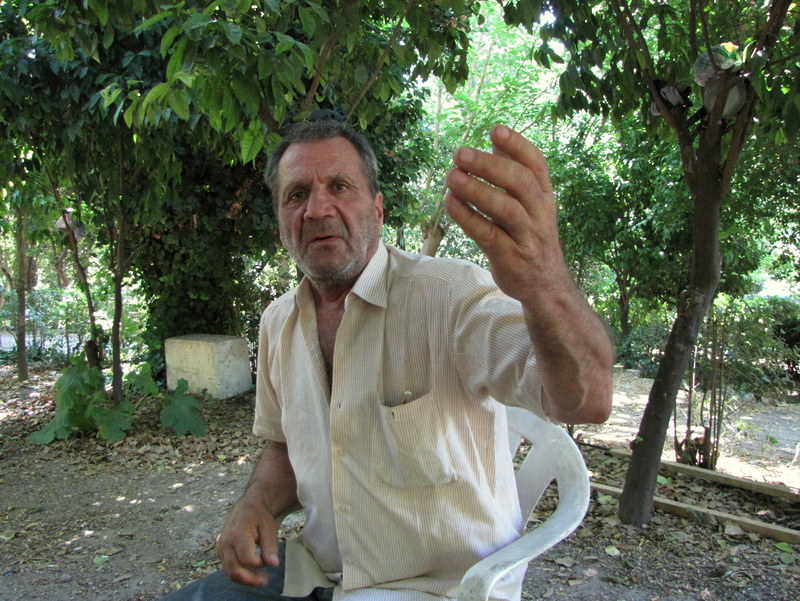 All pictures were taken with a Canon Powershot or Nikon DSLR camera. All images are the property of GringoPotpourri unless credited otherwise, and should be used with permission only. Nice pictures. I love the photo of the alphorn musicians. The husband of one of my Swiss cousins has one, and I have heard him play it several times. One time was at a Swiss music festival. We had to park the car and hike maybe a mile up the “wanderweg” (hiking path) to reach the location (with him carrying his alphorn). 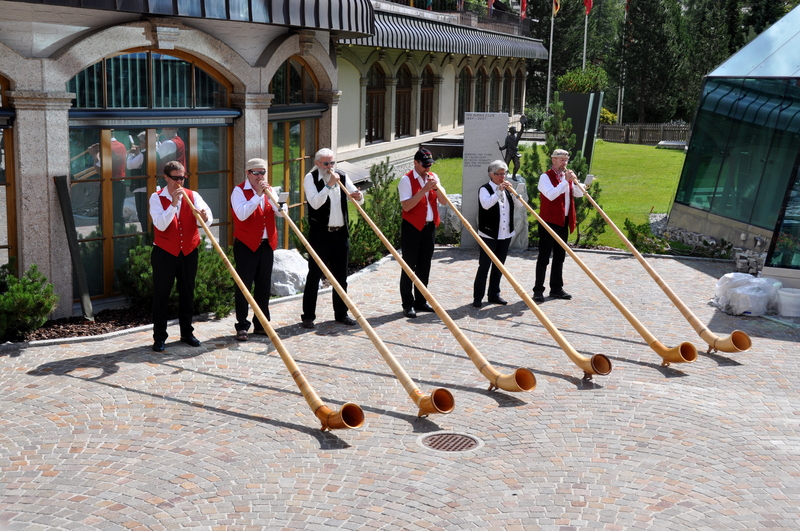 By the way, when I called it an alpenhorn, I was corrected and told it is an alphorn. Maybe the word alpenhorn is used in other parts of Switzerland. Thanks! Although I do own a didgeridoo, I don’t have an alphorn (or alpenhorn) of my own…yet.